The fourth meerkat story in the hilarious Awesome Animals series - awesome adventures with the wildest wildlife. 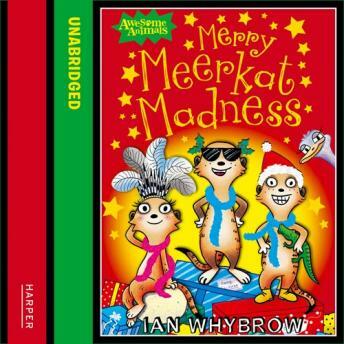 Told in Ian Whybrow's unique style this hilarious Christmas adventure is a must-have for little meerkat fans. More hilarious adventures featuring Uncle Fearless, Skeema, Mimi and Little Dream - the all-star cast of Meerkat Madness, from the creator of the Little Wolf books. One of the fantastic titles in the Awesome Animals series - the funniest fiction, starring the wildest wildlife, from prize-winning authors. It's Christmas in the Kalahari and the Really Mad Mob of meerkats are about to have a very Merry Meerkat Christmas indeed!